Cooktop repairs Gold Coast. Many clients become confused with the difference between cooktops, stoves and ovens. A cooktop is the hotplates that you cook on with a frying pan or saucepan. Our service vehicles have spare parts that repair the most common breakdowns. 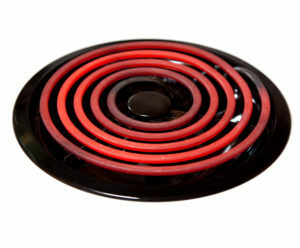 Cannot regulate heat – Often on a cooktop breakdown an element either can’t be turned off or cannot be turned down. This is due to a faulty switch. If you are faced with this problem and you cannot turn off the element and our office is closed, turn off the stove in your meter box until we can attend to the problem. Water boils over into switches and explodes – Switch off the cooktop in the meter box and call us to attend to the problem. Leaving the cooktop on can lead to a serious risk of fire or other electrical problems. Glass explodes on cooktop – Temperature and pressure changes can lead to glass on cooktops to crack or explode. These days it can often be cheaper to replace the cooktop rather than replacing the glass. Contact us to evaluate the situation. We offer both services of either replacement or repair of the cooktop. Element blown or rusted – When one of the hotplates stop working it is regularly one the elements that has blown. On the solid hotplates they often rust in the salty Gold Coast environment, these elements can be replaced but many clients request that we install a new cooktop because the is not much of a price difference between repair and a new ceramic cooktop. Burning smell – Bad connections cause wires to burn in the cooktop. 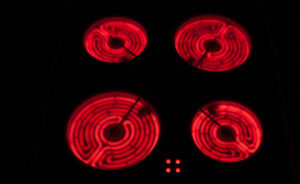 To be on the safe side, turn off the cooktop in the meter box until one of our technicians can call to your property.